So I am always on the look out for new skincare. As I get older I know I should take care of my skin more. I have pretty sensitive skin. I am allergic to the sun (I breakout in hives....no fun! ), I have eczema, and I am sensitive to a lot of fragrance. I have tried a lot of serums and vitamins in the past. 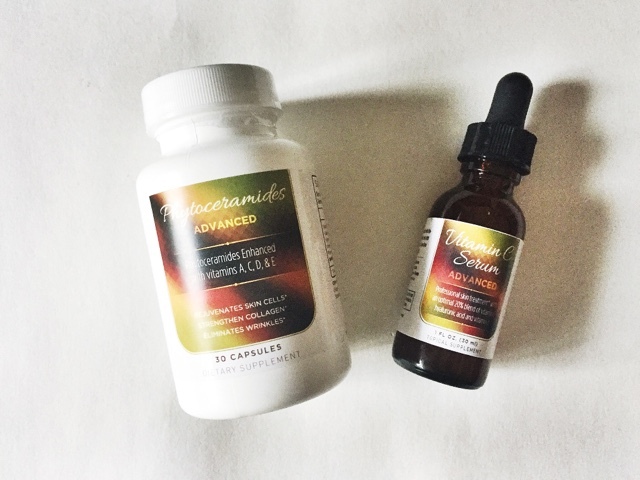 I usually do pretty good with vitamins, not so much with serums. My skin on my face just doesn't really like serums (I have tried others and gotten the same results). What happens is that it breaks out in small bumps and when I stop using it they go away. Same thing happened with the Vitamin C Serum Advanced. But....there is always a but, I did use the serum on my eczema (which is on my leg) and it has helped start the process of clearing it up. For this I do recommend this product. You may have better luck with it for your face. You can find it here. 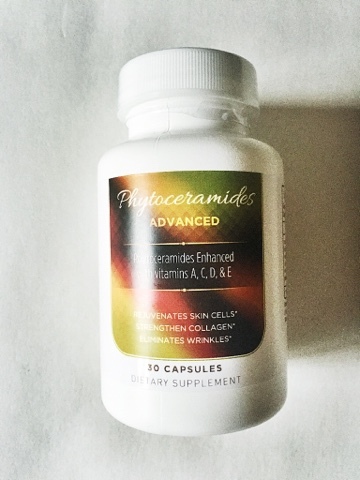 The serum and vitamins come in a affordable bundle both having all natural phytoceramides extract, which strengthens collagen, reduces wrinkles, and helps rejuvenate skin cells. The vitamins give you some daily nutrients that is needed (A,C,D,&E), but it not the full daily percent you need so make sure you are adding more into your diet. All in all the vitamins seem to be working good. I would recommend this product even though the serum didn't work for my face (I knew going into it that it probably won't), but it has gotten many great reviews that you can see here. If you end up trying it out let me know how it worked for you. Sounds like a fantastic line! Since I am in my 40s I am very into good skincare! 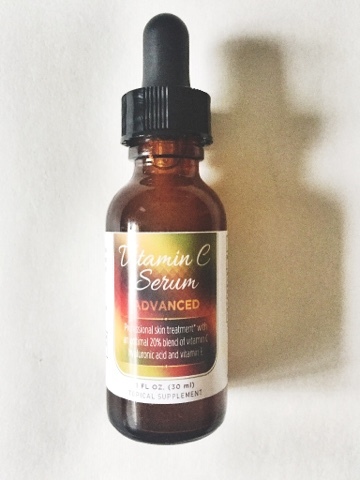 I am so in love a good vitamin C serum! I hope you have a wonderful weekend beautiful!